Discussion in 'Buckeye Football' started by Smudger, Jan 4, 2019.
pnuts34, LitlBuck, Nati-Toledo Bucks and 5 others like this. Welcome to the Buckeye Family, Enokk! First from the 50th state since Hayn, right? That's what he said on the twitters today. Hayn was pleased. brodybuck21 and BB73 like this. I believe HAYN was a walk-on. Vimahi is the first signed true "recruit" from the 808. LitlBuck, BB73 and brodybuck21 like this. Yes, exactly. Per Hyan, walk-on for 2 years and then went on scholarship for last two. The plan is for Enokk to go to college for a year and then go on his mission, not before college. Wiltfong has stated that Ohio State is going to push for him to take his mission after college. MARVYMARV14, Bestbuck36 and brodybuck21 like this. But really, what a bizarre but welcome surprise at the final hour. How often is it that you offer a kid from Hawaii this late in the game in their senior year and they choose us over USC and Oklahoma? I concurred with the "So you're saying there's a chance?" GIF at the beginning of the thread, yet somehow Day pulled this off. Crucial get at a position of desperate need. Someone get a Ryan Day GIF in here! buckeyeintn, LovelandBuckeye, Buckeye1 and 15 others like this. 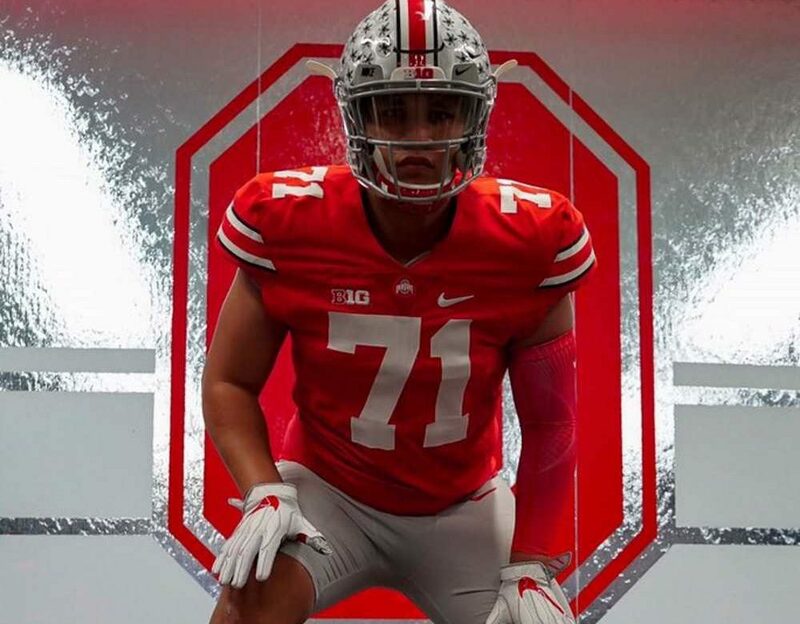 Morning Constitutional: Why Was Enokk Vimahi a Good Fit For Ohio State? Ohio State needed to have a strong offensive line class during the 2019 recruiting cycle, but they didn’t really get there until signing day when they landed 4-star Hawaii prospect Enokk Vimahi and 3-star Indiana prospect Dawand Jones. Those two joined 5-star center Harry Miller and 4-star tackle Ryan Jacoby. The addition of Vimahi — who was the No. 7 offensive guard in the class — was key, especially after losing a commitment from Doug Nester, who was the No. 6 guard in the nation. What did they find underneath the stone in Hawaii? Once they get him on campus this summer, they will begin the process of building him the way they want him built. After the season, however, Vimahi will have a decision to make regarding a 2-year church mission.